Hydrostatic testing facilities: Ictineu Submarins SL has an hydrostatic testing laboratory with two autoclaves and experience in test procedures for different type of equipment including solid parts, pressure tight containers, oil filled containers, small electronics, and electric equipment. In the two autoclaves liquid (water or oil) is used at ambient temperature, between 13 and 25ºC. 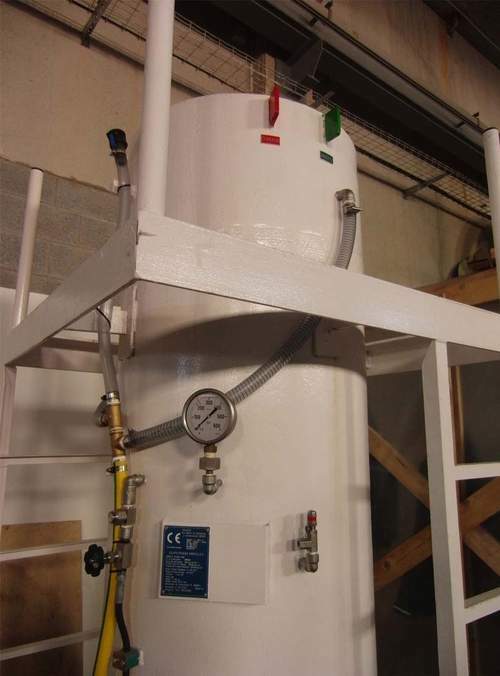 Both autoclaves have penetrators available for electric connections. This allows to test equipment with power feed and signal communication interior/exterior, so real conditions can be simulated. 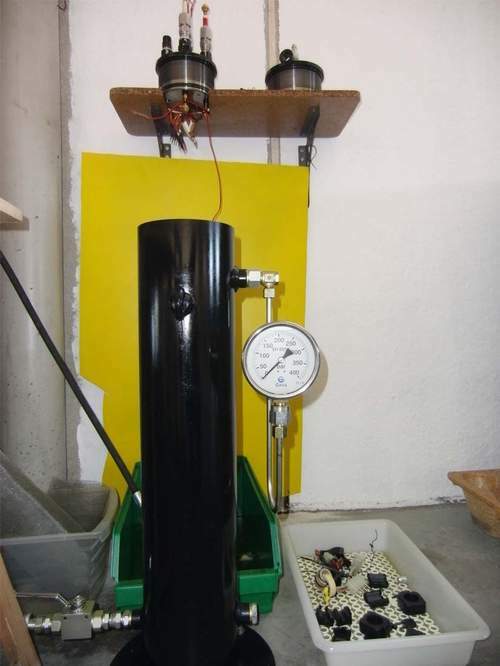 The autoclave in water has two manometers for reading pressure and one automatic pressure limiter based in a third and independent reading system.